From the start menu, select "Computer" on the right side. When the Computer folder appears, click "System Properties" from the bar near the top, then on the right side "Tasks" list, click "Device Manager". Vista may ask for your permission to continue, and it is safe to click "Continue". 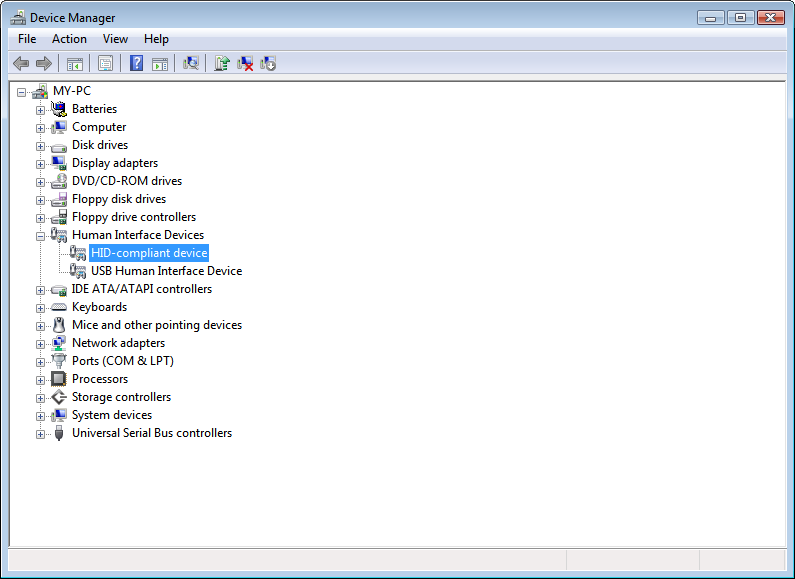 When the Device Manager loads, click "Human Interface Devices". The Teensy appears as "HID-compliant device". You may have several HID-compliant devices if your computer has a USB keyboard, mouse, joystick, uninterruptable power supply, or other USB peripherals. 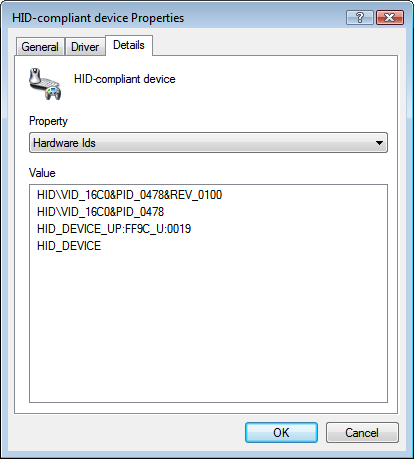 To check if a HID-compliant device is the Teensy, double click it to open the "HID-compliant device Properties" window. Click on the "Details" tab, and then from the "Property" drop-down menu, select "Hardware Ids". HalfKay has "HID\VID_16C0&PID_0478". Other USB devices (or the Teensy when it is running another program) will have different hardware VID and PID numbers.